With the Blessings of Sri Sri Tridandi Chinna Jeeyar Swamji , Mahila Arogya Vikas has conducted a medical camp on the 18th and 19th of November 2017 at Gorlapet Village Vizianagarm mandal with the help of our donor Manavaseva (Mr. Sastry Garu). 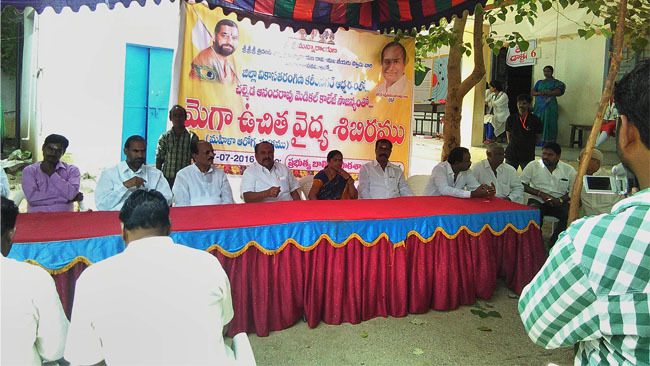 This camp was conducted by Dr. Leela Garu Oncologist and Dr Praveena Oncolgist. A survey was conducted on the 13th of November before the camp where about 300 members have attended. A total of 113 members attended the medical camp for both the days. On the first day of the camp, total of 65 members have participated where all were tested for VIA 1 and breast examination.Dr. Leela garu and Dr. Praveena garu held the camp on the first day. 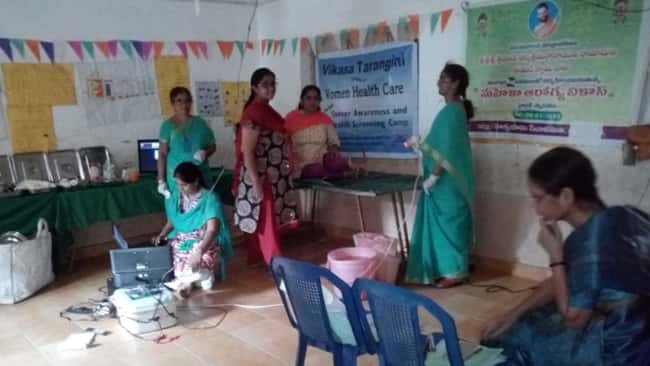 On the second day of the camp a total of 48 members participated and both VIA 1 and breast examinations were done by Dr. Leela Garu. The ladies between the age group of 40-60 years were given the advice to get a Mammogram done. Wishing Mahila Arogya Vikas chapter to add milestones to their successful journey in bringing otherwise expensive medical care to the doorsteps of rural and remote areas.